A company representing AWS has submitted a plan to build a 600,000 square foot data center campus at the heart of Loudoun County, on a 44-acre site near the Dulles International Airport, 25 miles south of Washington DC, reports the Washington Business Journal. The proposed campus would comprise three separate data halls, though it is unclear whether these would be built simultaneously. The application was put forward to the the Loudoun County Board of Supervisors by Oppidan Investment Co., a third-party developer employed by AWS. The board is due to decide on the project later today. The development wouldn’t be Amazon’s first in the area. In its 2018 TrendLines report, real estate firm Transwestern found that AWS footprint in the Northern Virginia and wider Washington DC area rose from 200,000 square feet (18,580 sq m) in the late nineties to almost 6.6 million square feet (613,160 sq m) last year, according to Bisnow. What’s more, the company is evaluating Northern Virginia as the potential location for its second US headquarters, which would span 8 million square feet (743,220 sq m), and could be built on a site located seven miles (11km) from the proposed data center campus. 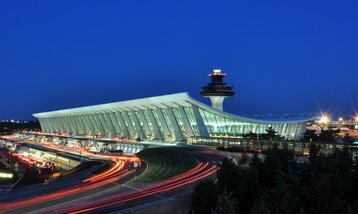 Widely considered the data center and interconnection capital of the United States, with the Washington DC area having been named the biggest colo market in the world last year, Northern Virginia is considered a prime location for all major data center operators. Large projects underway involve Google, Equinix, QTS, and Compass Data Centers, to name a few.